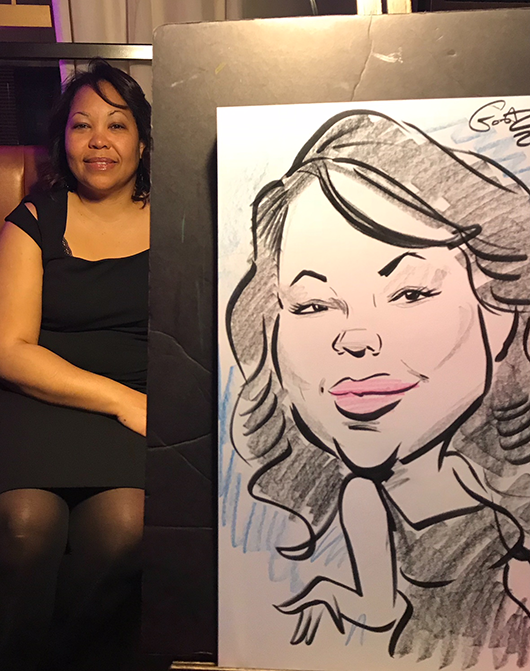 Quick portrait caricatures show a person’s head and shoulders with a little bit of the body. 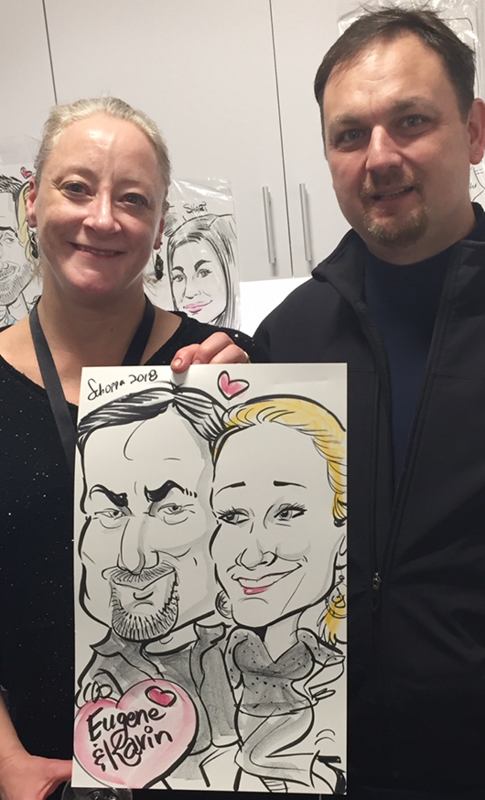 Usually drawn without a theme or activity. 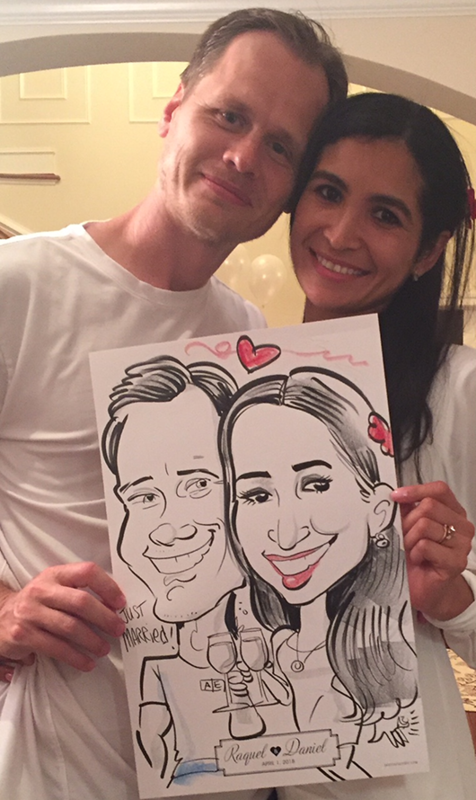 They are our fastest and take about 5-6 minutes per face. 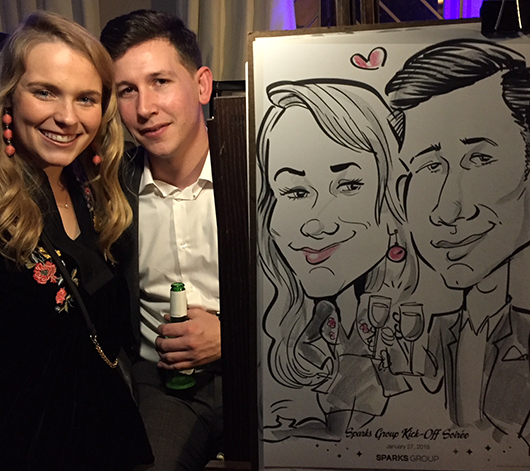 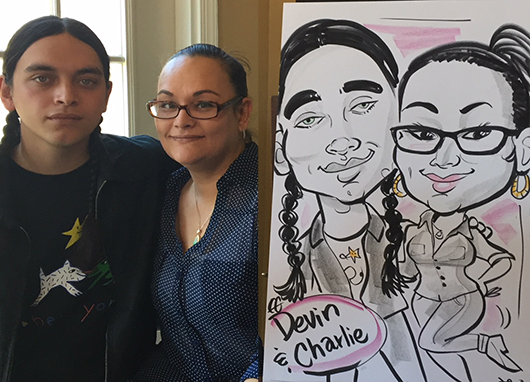 Here’s a mother and son caricature portrait from this event! 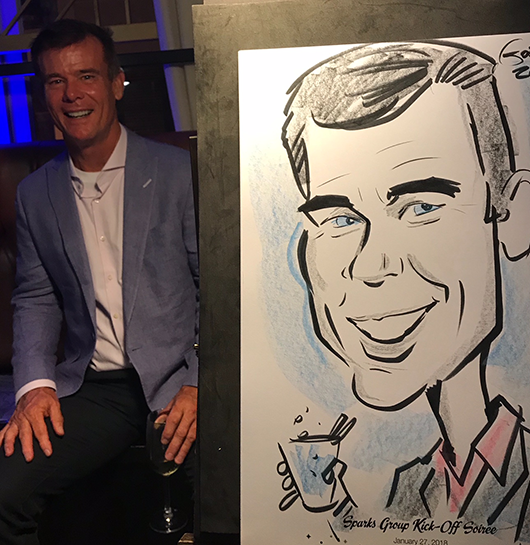 Just getting caught up on posts! 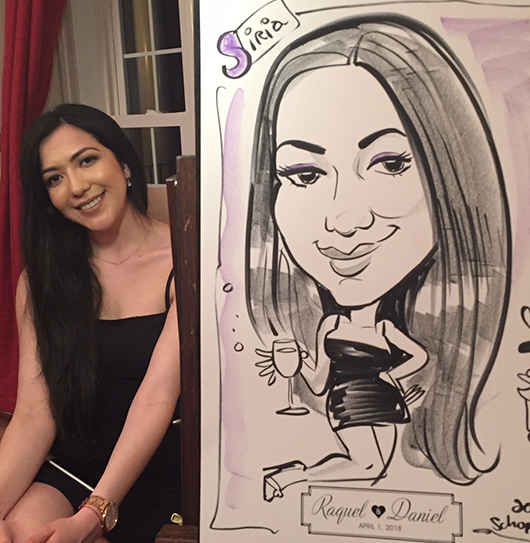 Here are a few from a joint birthday party (ladies in their 30s) at Saint Yves in Washington DC. 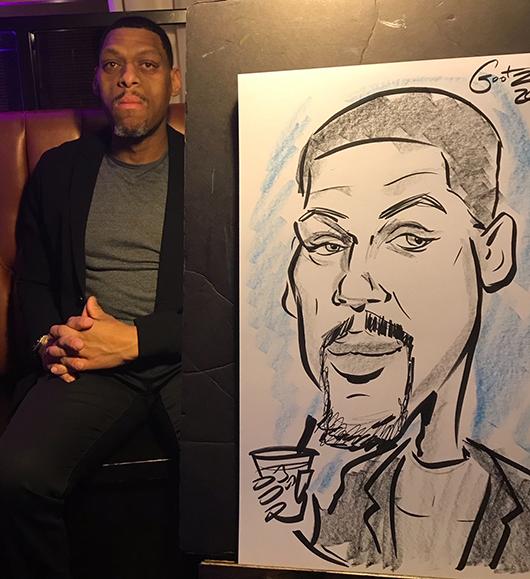 Drawn by Mark “Gootz” Gutierrez. 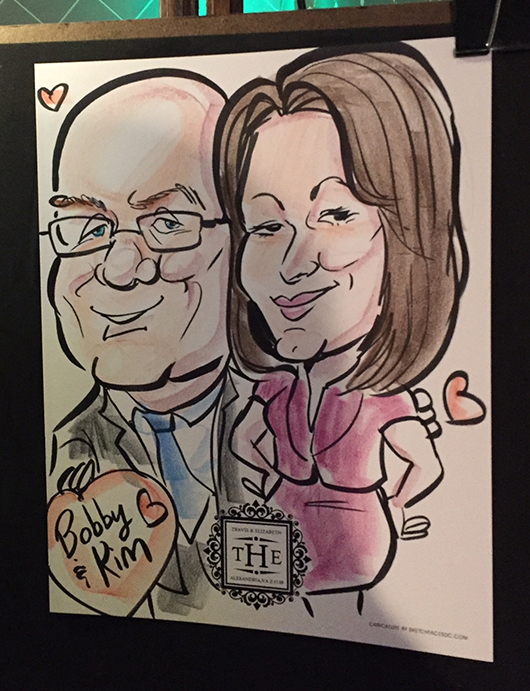 Here’s one from a holiday party for PBS team members. 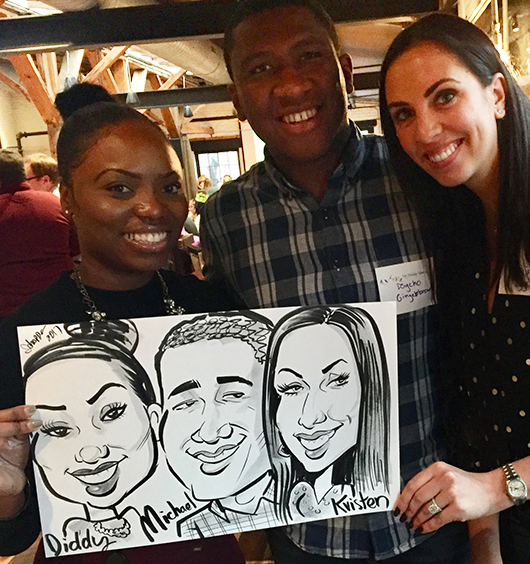 Held at Virtue Feed and Grain in Old Town Alexandria. 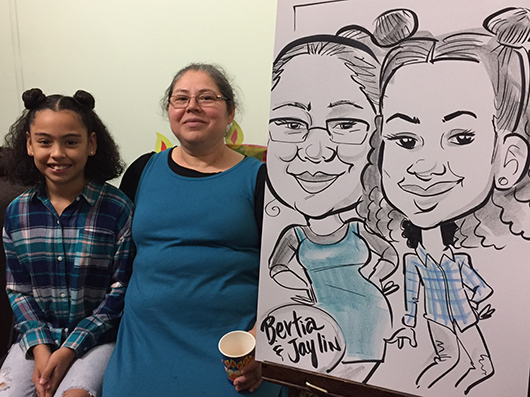 One from a recent Bat Mitzvah in Old Town Alexandria. 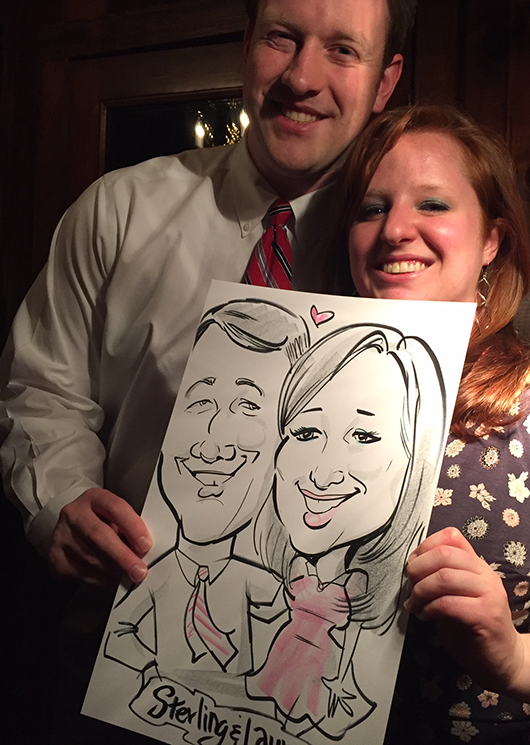 This was at the Landini Brothers restaurant. 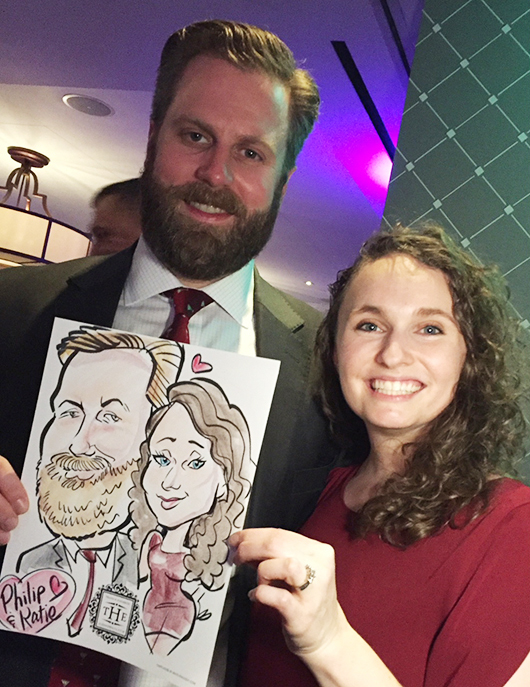 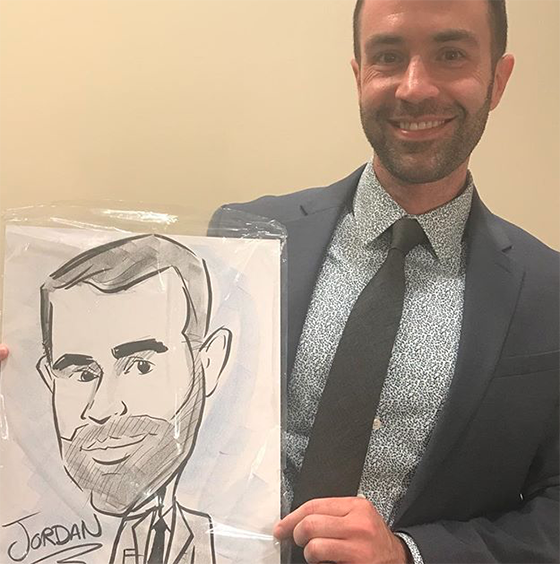 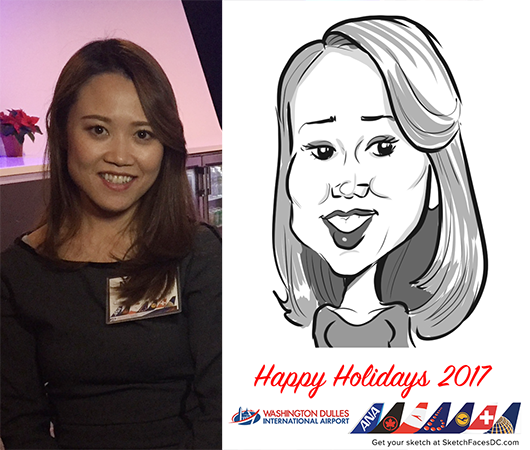 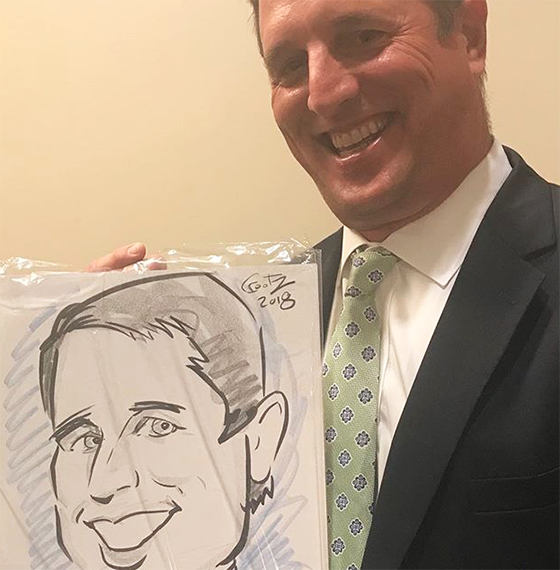 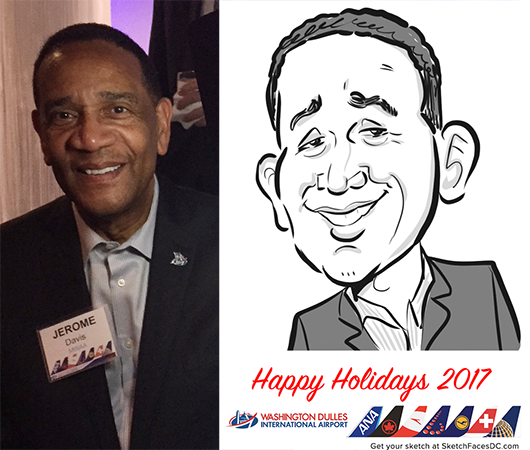 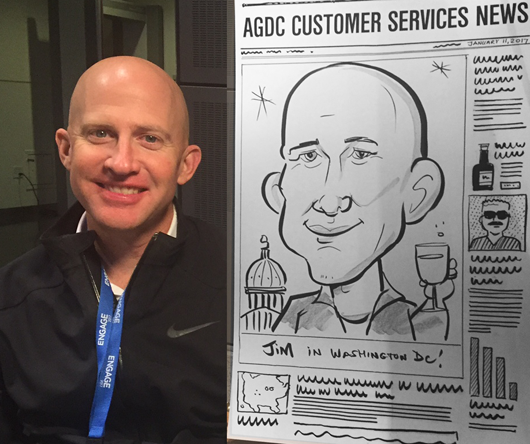 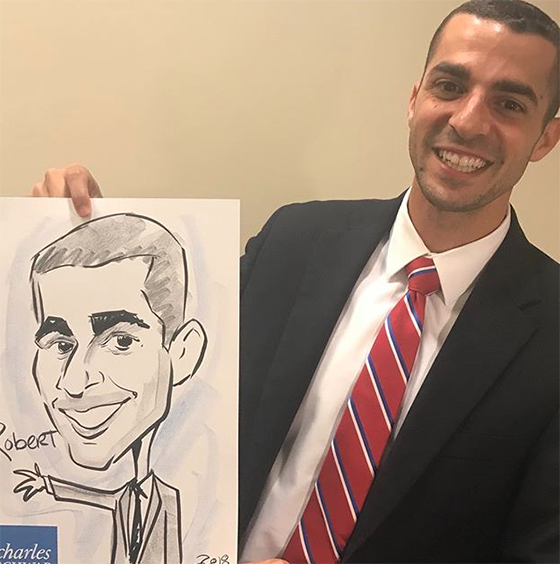 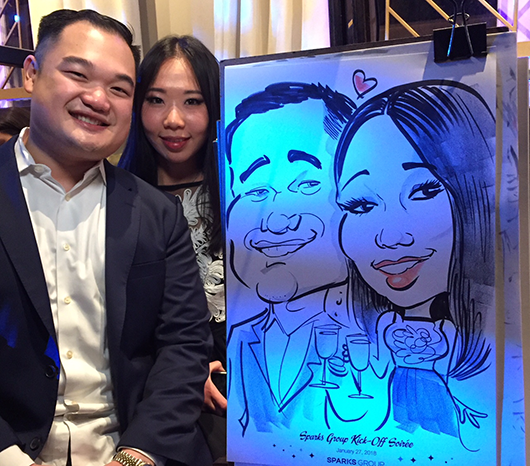 Mark drew live caricatures at an event at the U.S. Chamber of Commerce earlier this week. 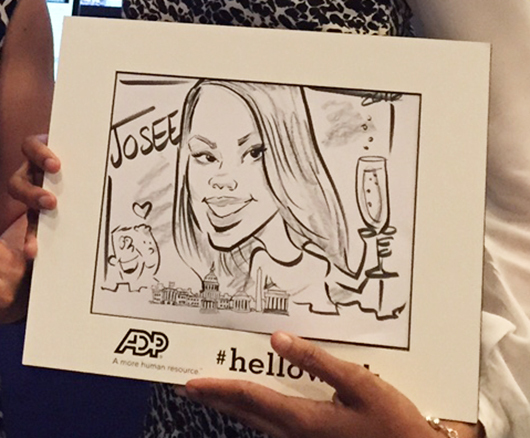 This was for the Wall Street Journal and sponsored by ADP. 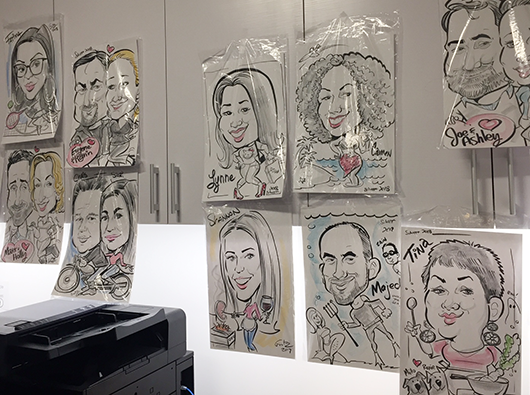 Caricatures were drawn on 8×10 pre-printed paper. 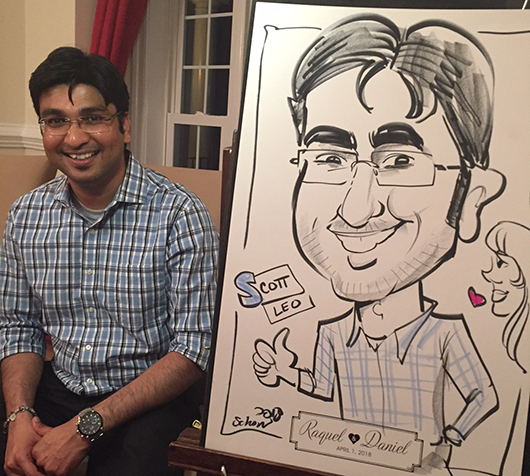 Frames were provided to guests with the sponsor’s logo. 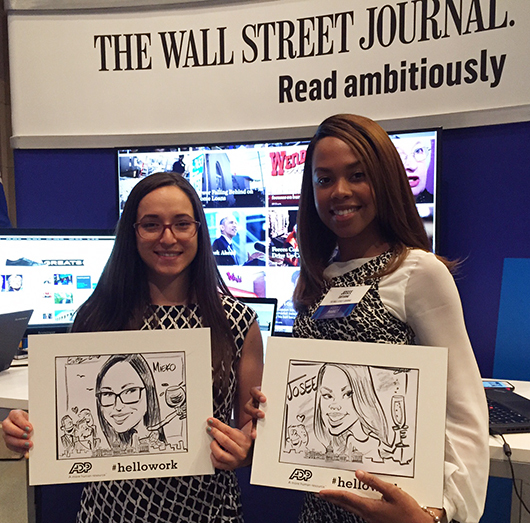 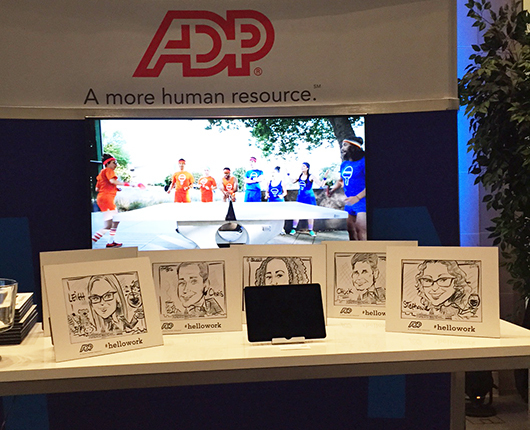 Caricatures sponsored by ADP drawing attention to the WSJ booth. 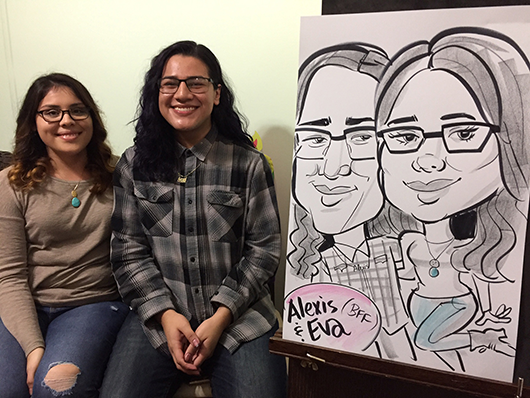 Two booth attendees display their caricatures. 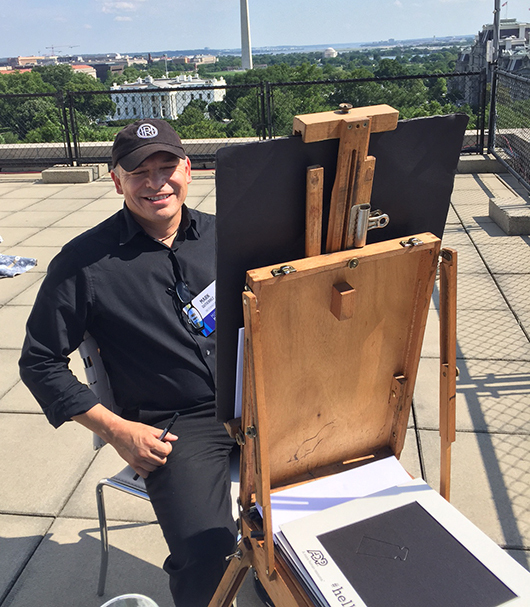 Mark enjoys a great view on the roof.